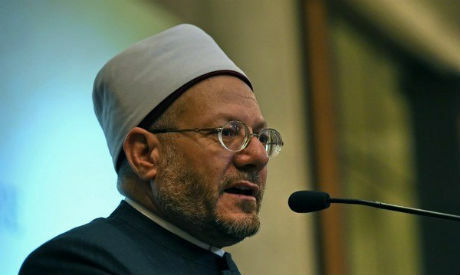 Trading of the world's leading cryptocurrency Bitcoin is unlawful in accordance with Islamic Sharia, Egypt’s Grand Mufti Shawki Allam said on Monday. In an official fatwa, Allam said that trading such a "virtual currency" was not permissible as it is not considered by legitimate bodies an "acceptable interface of exchange." Digital currencies are decentralized and not tangible, and do not represent an amount of gold or silver. Bitcoin is believed to be the first of hundreds of digital currencies introduced to the internet sphere, as well as being the most valuable and most widespread globally. On Monday, one Bitcoin was valued at over $13,000 (approximately EGP 230,000). Highlighting that Bitcoin is not subject to the state's supervising and financial authorities, Allam said his fatwa was issued following consultations with several economy experts. He stressed that both the "currency’s risk as well as its high profit potential undermines Egypt's ability to maintain and stabilise its own currency." Allam added that Bitcoin can have a "negative effect on its dealers' legal safety, possibly due to failure to publicly disclose such operations," which he said would lead to an "ease in money laundering and contrabands trade." He affirmed that the use of such currencies "impinges on the state's authority in preserving currency exchange, as well as its necessary supervising measures on domestic and foreign financial activities." Allam said the cryptocurrency trade exchange is similar to "gambling," which is forbidden in Islam, "due to its direct responsibility in financial ruin for individuals." In 2017, trading of Bitcoin and digital currencies boomed worldwide. Egypt has not followed in the footsteps of countries that, even amid a lack of regulations, are considered to be digital-currency friendly – including Japan and Sweden. Nor has Egypt followed countries like Bolivia and Bangladesh in banning the cryptocurrency. Last month, however, Egypt’s Financial Regulatory Authority (FRA) said that enticing investors into dealing with cryptocurrencies is considered a "form of deception that falls under legal liability." The Central Bank of Egypt has repeatedly announced the banking sector does not accredit cryptocurrencies.